With Christmas (and Christmas Break…) sneaking up on us quickly, we’re trying to keep things festive around the house with some fun holiday crafts. Gone are the days of just construction paper snowflakes, enter the world of super easy, absolutely adorable DIY Ornaments that kids can tackle on their own! 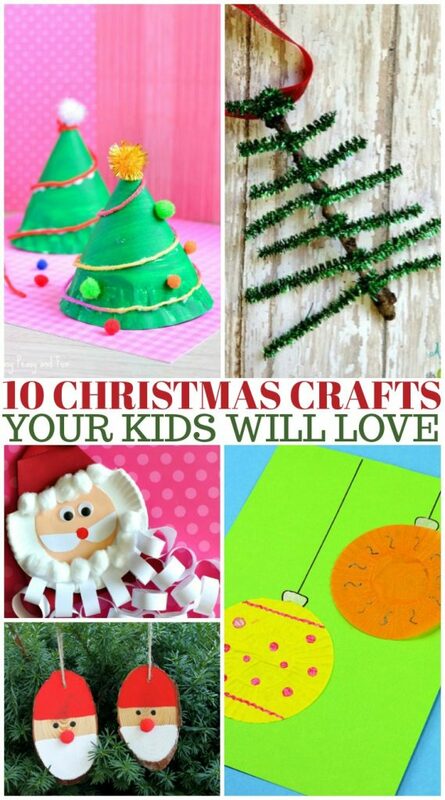 We have done a couple of these already and I really want to make the Wood Slice Santas next! We’ve rounded up some super easy DIY crafts from some wonderful bloggers that are sure to fill some of the days leading up to the holidays. 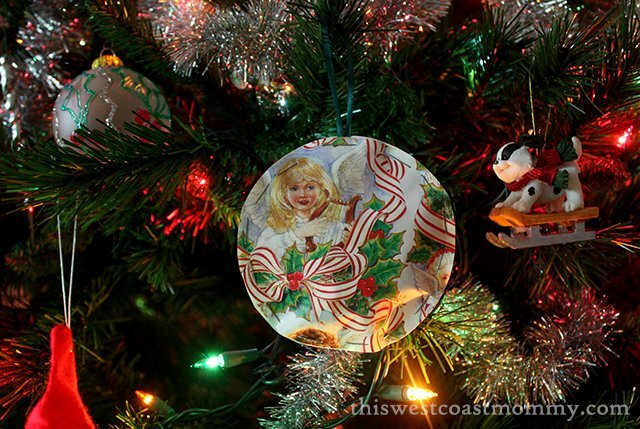 Upcycled Wrapping Paper Ornaments – This super easy, super eco-friendly DIY is a great way to re-use left over wrapping paper and you likely have everything at home already! Twig Reindeer Ornaments – There’s no shortage of twigs lying around in our neighborhood and this craft makes super easy, country vibe ornaments. Cupcake Liner Craft – This craft doubles as a fun keepsake as well as an easy DIY Christmas Card that kids can feel proud designing! Santa Beard Craft – One of the cutest ideas to hang on bedroom doors or front (covered) doors!. Snowman Popsicle Stick Craft – a super cute craft you can adapt to include with gifts, or to make bookmarks with. Pipe Cleaner Christmas Trees – my daughter has made something like this each year at school, pipe cleaners are always a hit. Wood Slice Santas- if you have access to wood scraps you can make some adorable characters to accompany Santa. Christmas Candy Cans – a super easy way to re-use some cans from home, these can be repurposed as pencil/stationary holders and wrapped to keep the candy in. Clothespin Reindeer – I have fond memories making these from when I was little, but the googly eyes are a new (adorable!) addition! Toilet Paper Snowmen – Another fun way to re-use things from home, and a great craft for K-2 crowd at school. I love that so many of these crafts upcycle things you probably already have at home. So before tossing items into the recycling, take a quick peek at the list and see if you can craft something fun with the kids to put on display for Santa (or your sneaky elf!) to see this holiday season. I remember cutting up Christmas cards as a child for my mum, she then then made labels for gifts out of them. Money was short back then and it was one way to save a few pennies. Isn’t it funny how arts and crafts have been passed on through the generations because I remember making some of these things when I was a kid.